I almost could have called it “Suddenly This Summer” because on May 1 we skipped spring and went straight into summer temperatures by noon. 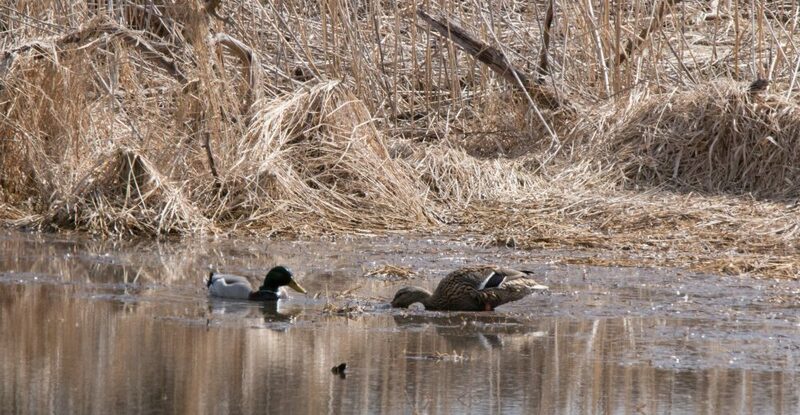 But along with the sudden push of warm air from the south came a lot of migrating birds, and after all, it was finally the real start to Spring Migration. As luck would have it I was near the lakefront for the last part of the stem cell procedure on my right knee, which consisted of a blood draw early in the morning and then having a few hours before a return to the doctor’s office for the final injection. I realized the location’s potential the week before when I had the major procedure done. The medical building is virtually right across the street from North Pond, which is a favorite hot spot with lakefront birders. The week before it was blustery and cold with only a few of the hardiest migrants. But now I had a birder in my friend Lesa to whom I am grateful for being my chauffeur for the day. 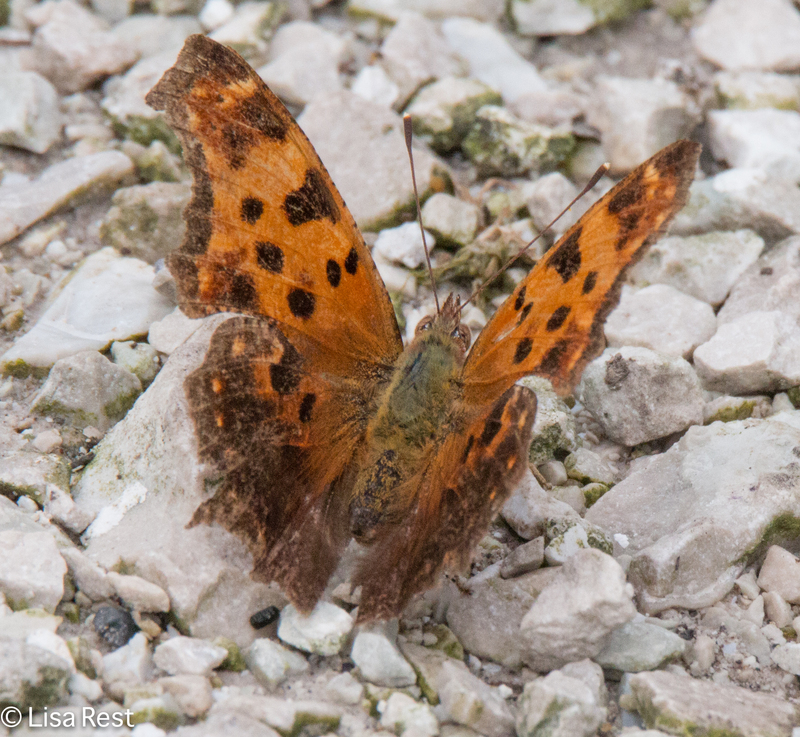 I was walking without crutches if moving slowly, but I was walking, and slow is generally good for birding. 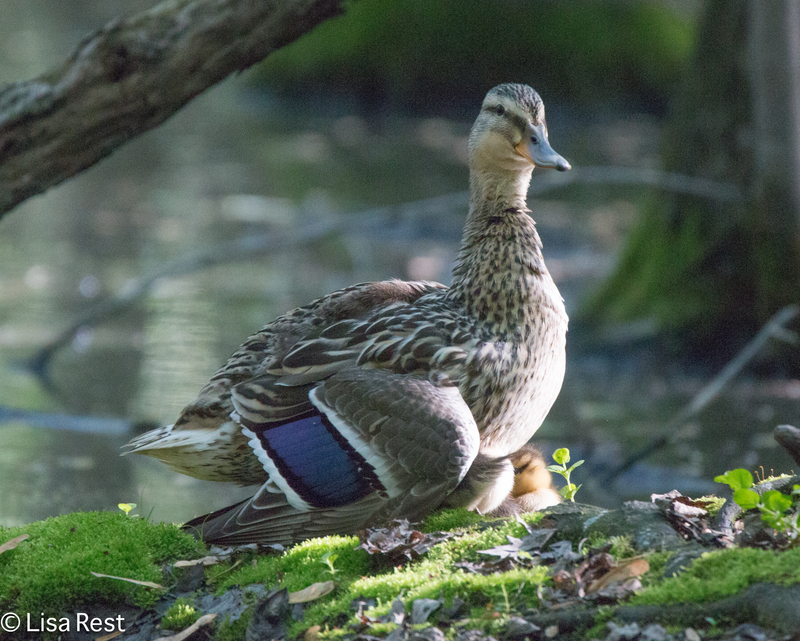 The slower you move, the more birds you eventually will see. 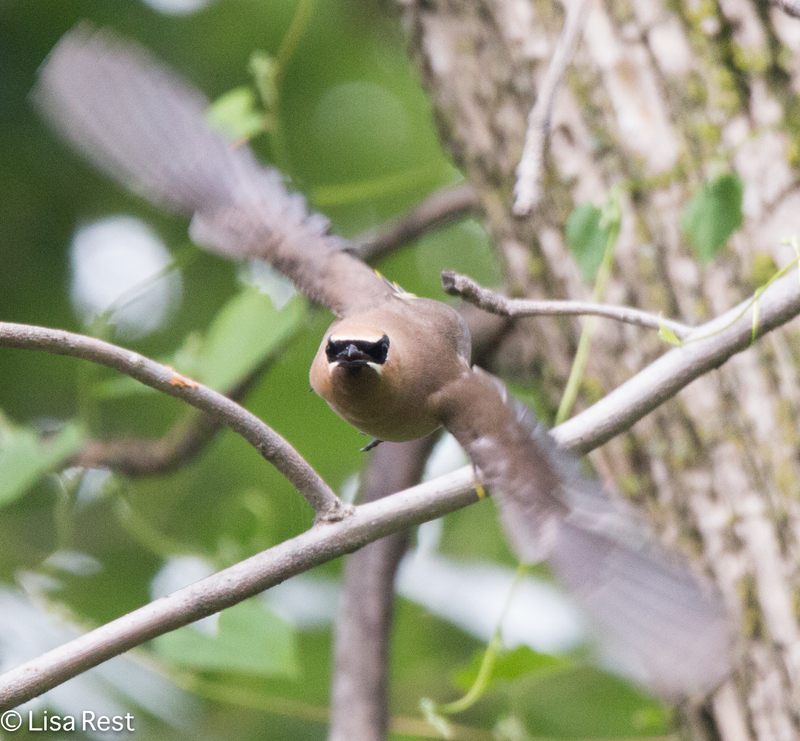 And seeing birds was a great distraction from whatever pain I was feeling. 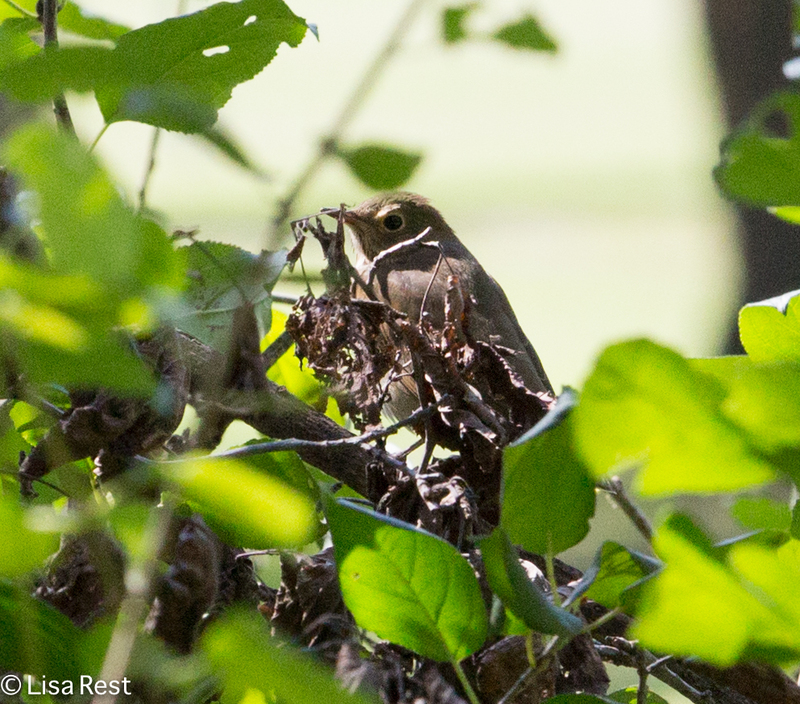 Perhaps the first warblers to greet us were four or five Ovenbirds poking about in the grass. Even though the weather was warmer, the trees and accompanying insects had not caught up with it yet and so a lot of birds were foraging on the ground for something to eat. The ground is an Ovenbird’s preferred foraging spot anyway. 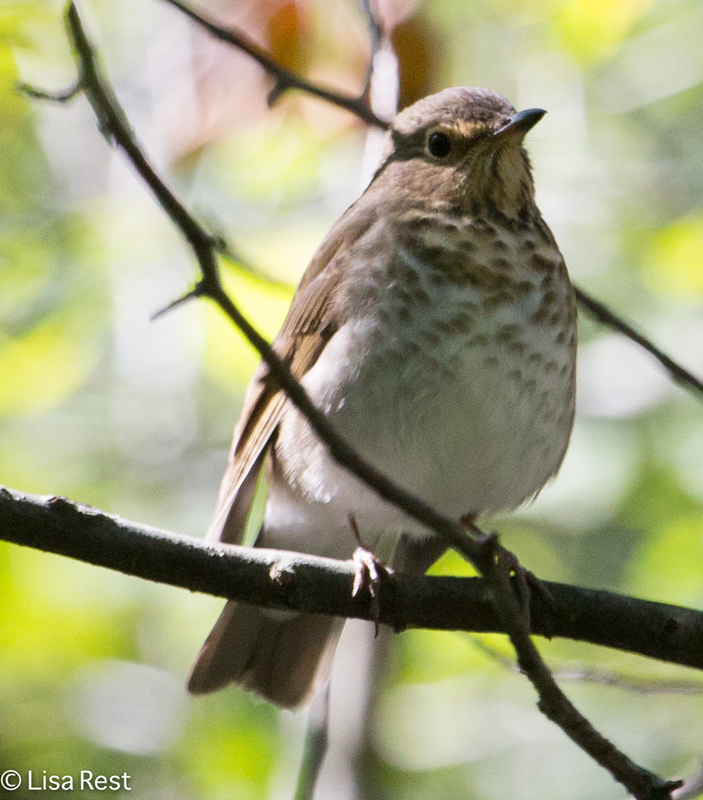 Ovenbirds can be nearly impossible to see on their breeding grounds, but in migration on the lakefront they are all over the place this year. I have seen them since everywhere I go for midday walks near my workplace. Then it seemed there were Black-Throated Green Warblers everywhere. 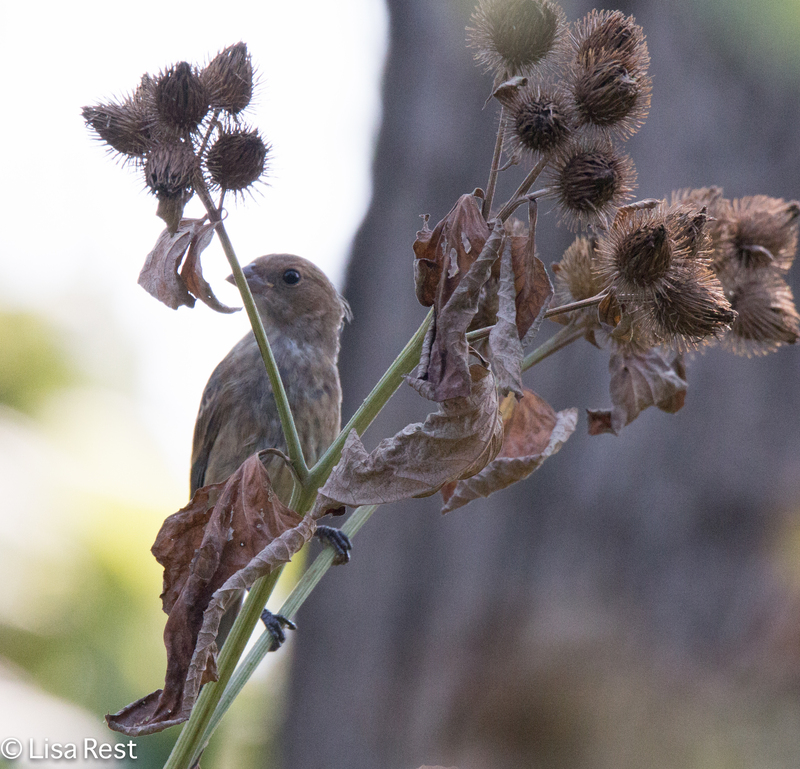 Predictably, especially in the grass, were Palm Warblers. 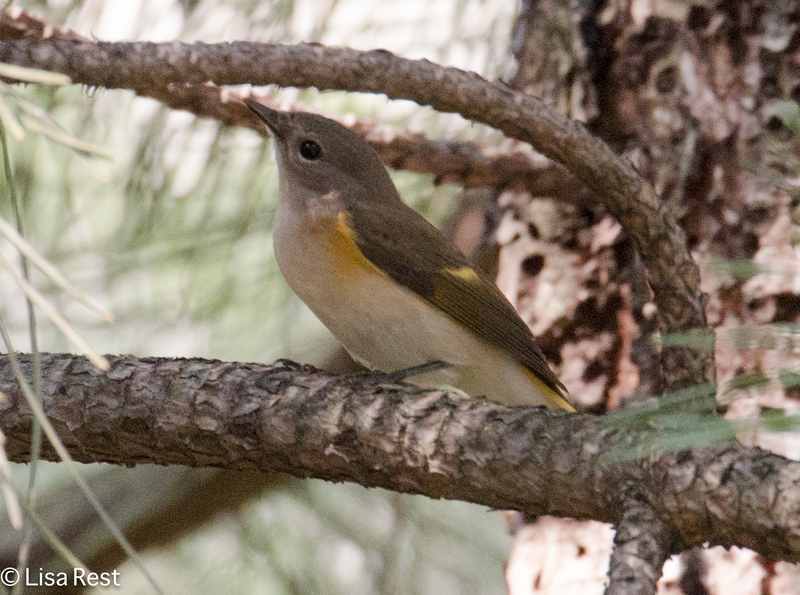 A note about these pictures, being my first warbler photographs of the season. The morning started off a bit overcast, and then I had only my 75-300mm lens as it seemed ridiculous to be carrying around anything larger in my compromised condition, so I didn’t get quite the clarity I wanted for many of these birds. But it was just such a joyous way to spend a medical day and provided an extra therapeutic perk altogether. 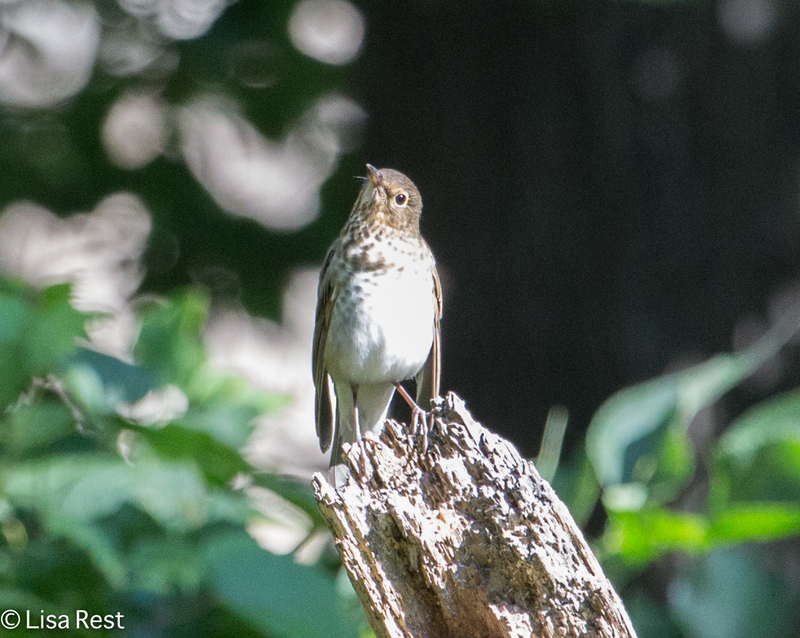 I am always so happy to see a Lincoln’s Sparrow. 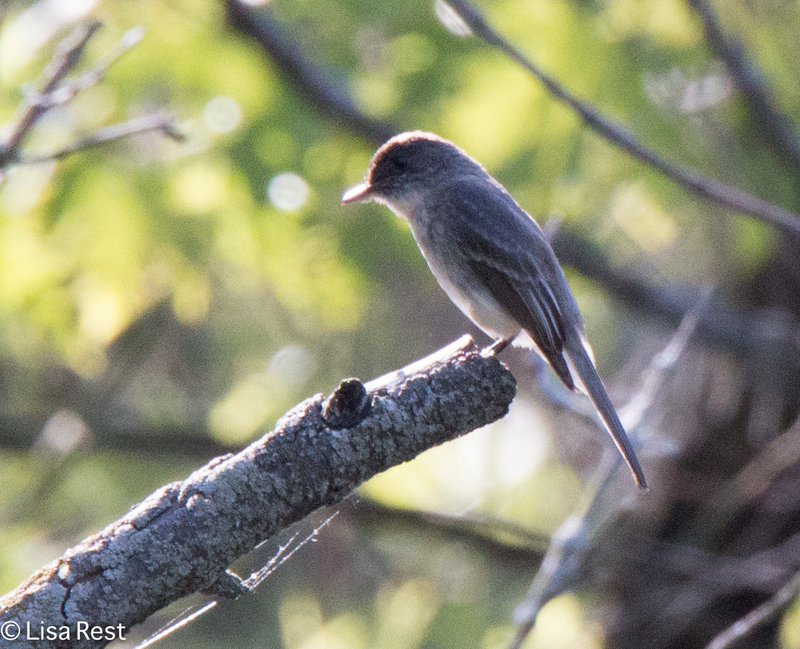 It’s not quite rare, but you never see more than one of them at a time, and they’re such delicate-looking little birds. 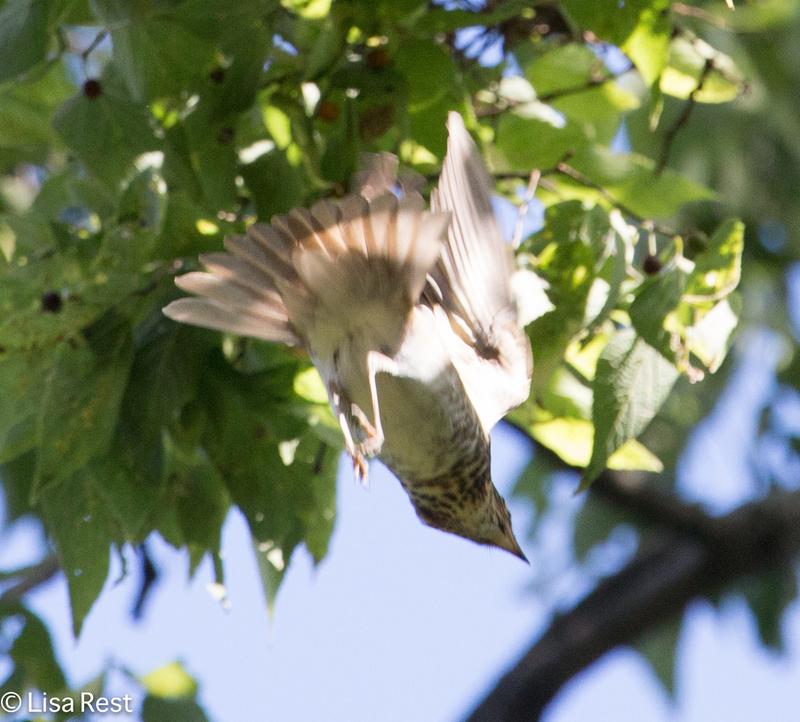 Yellow-Rumped Warblers were predictable, but not easy to capture as they frantically searched for food. Our look at the Pine Warbler below was brief, but this is a more unusual species in migration so I am glad I got this shot. 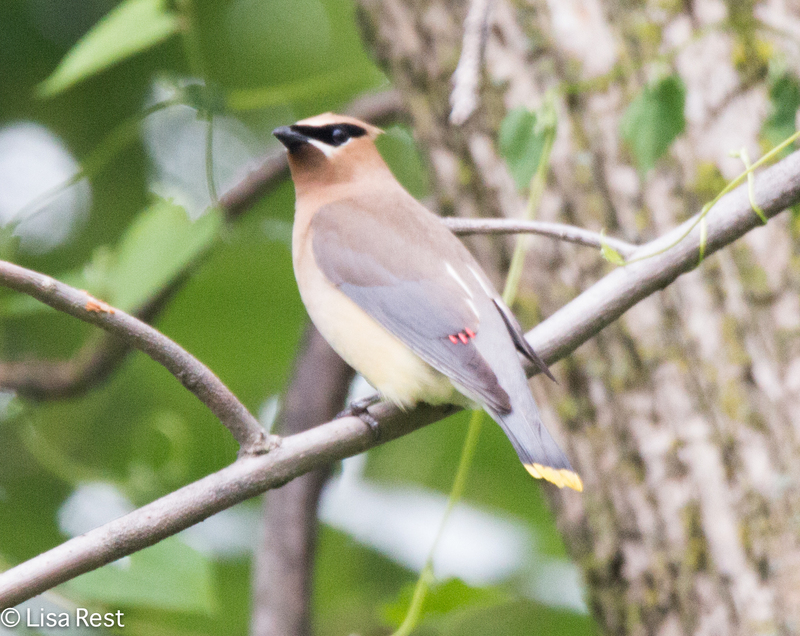 The three species below are Yellow, Black-and-White, and Nashville Warblers. 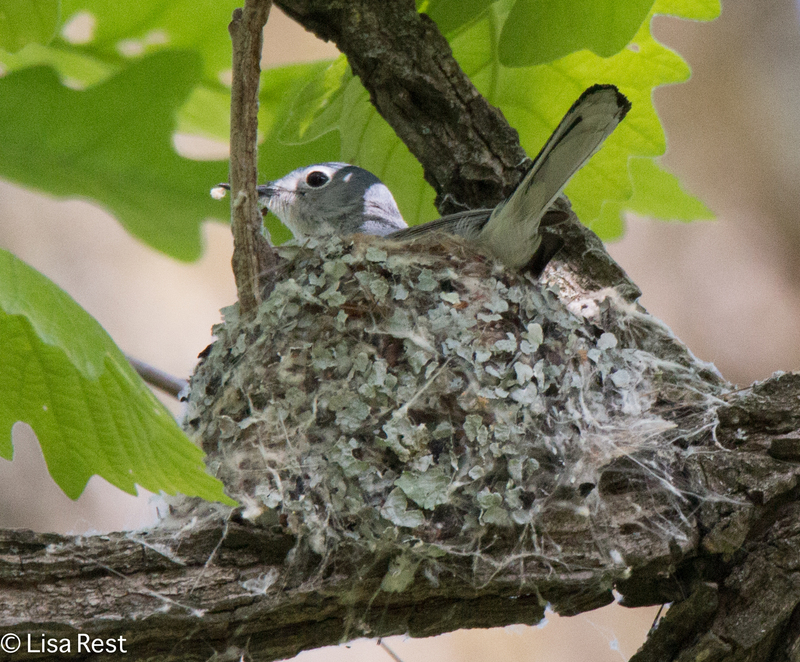 Another spring migrant that seems to be showing up in force is the Blue-Gray Gnatcatcher. Meanwhile, on their way out were Golden-Crowned Kinglet on the left and Ruby-Crowned Kinglet on the right, below. 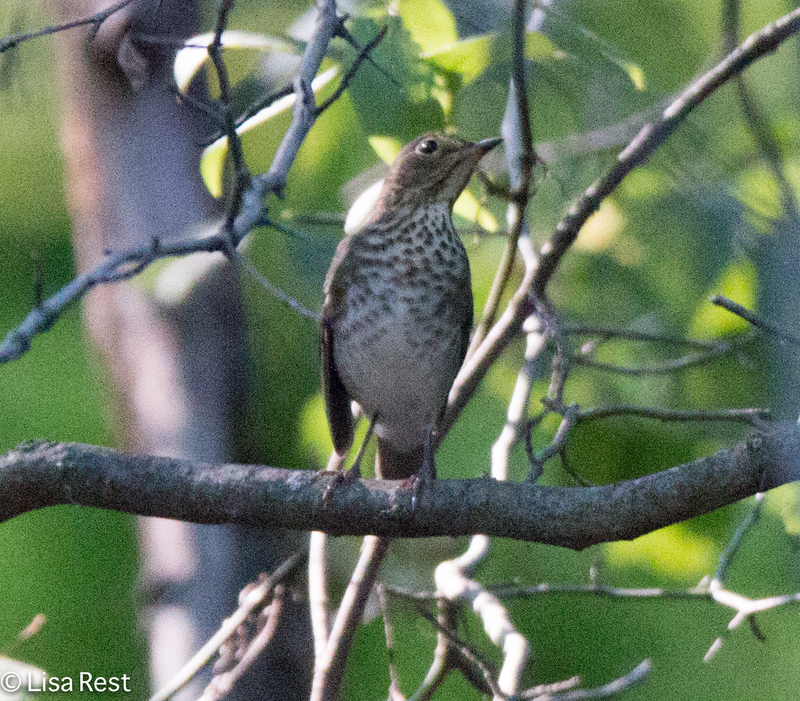 Then there are the migrating Thrushes. 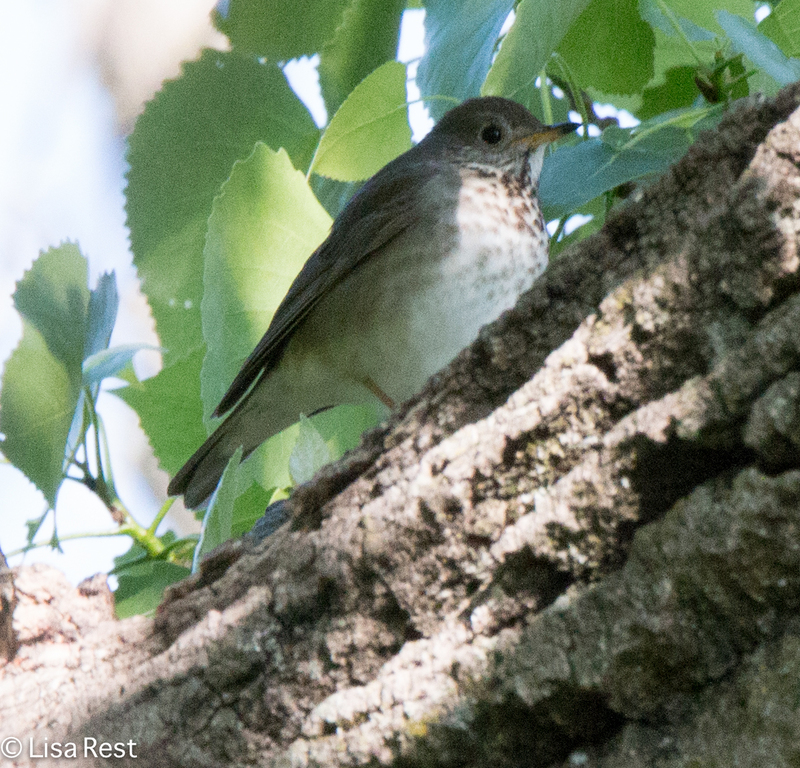 Two below are a Swainson’s Thrush on the left and a Gray-Cheeked Thrush on the right. I have been out since last Tuesday and have a lot more pictures to process and share with you, but it’s been really difficult to get caught up. All I can say is every day I’m a little bit better and there have even been a few moments when I’ve forgotten about my knee altogether! I will be back soon with more from Instant Spring Migration. Until then, spring on! And then Oliver Sacks died. For as much warning as he gave us, it still seems hard to believe. I have all his books to remember him by, though, and would like to get back to reading them. 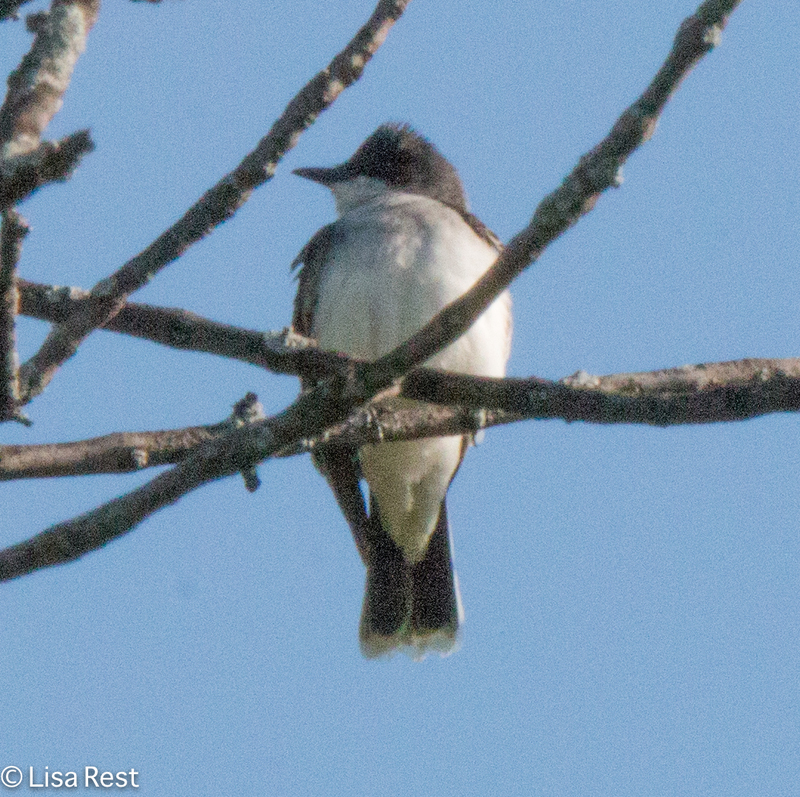 And passerine migration, that thing that depends so much on the weather, isn’t really happening as much as one would want it to, especially when I finally had a little time this weekend to look for birds. 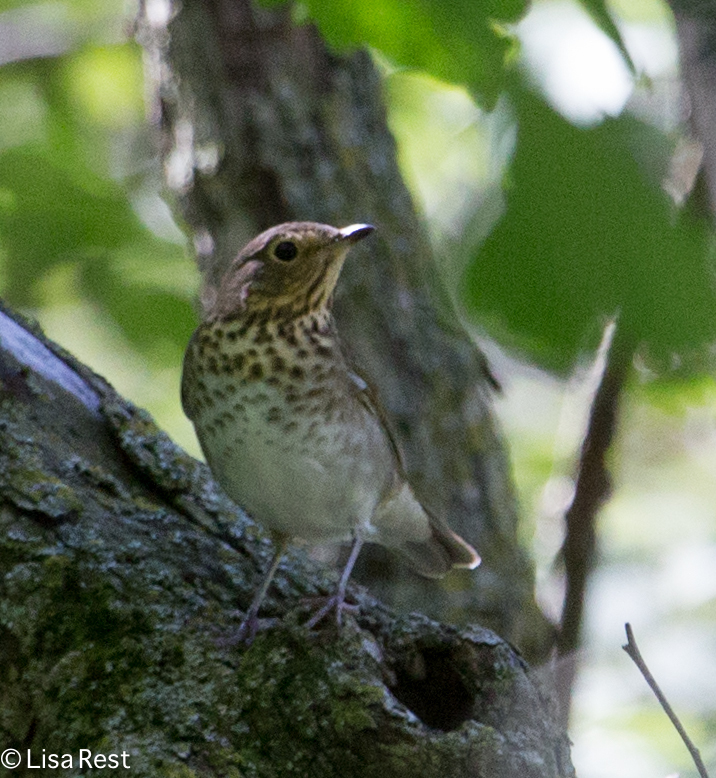 Swainson’s Thrushes are pretty much everywhere but particularly closer to the lakefront. 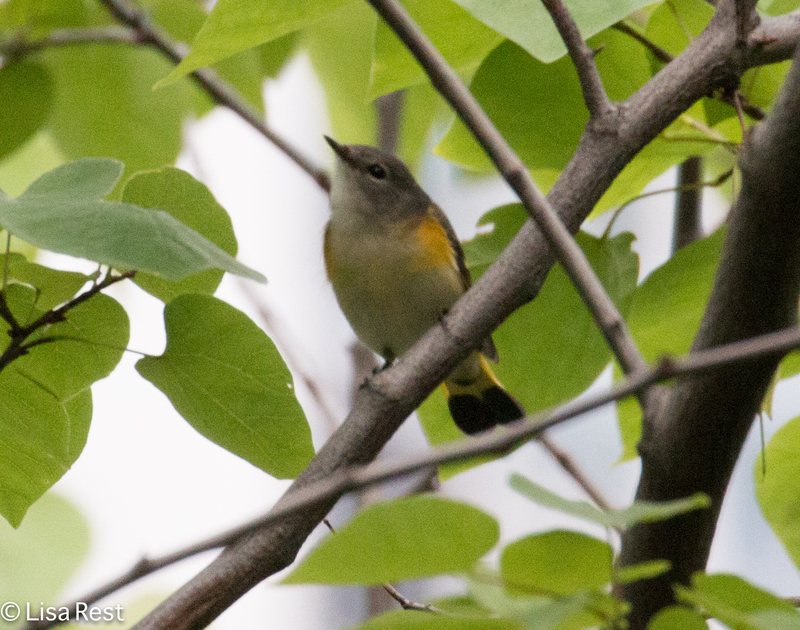 I have only seen a handful of warblers and not really had a chance to capture them with the camera. The pictures are from the last week or so, some taken in the downtown parks and others from local haunts or somewhere in between. No theme, no meme. 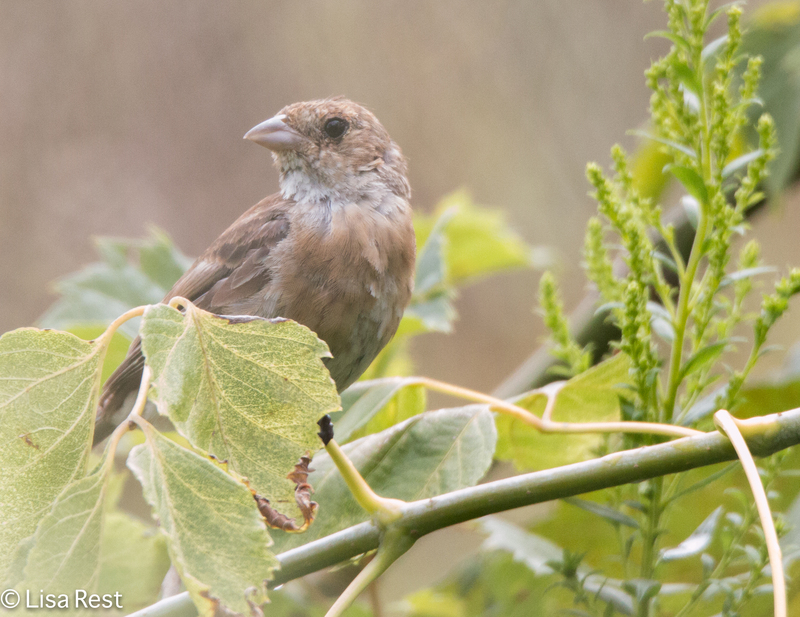 At the Chicago Portage for the last two weeks, the most numerous species has been juvenile Indigo Buntings. They are literally everywhere. 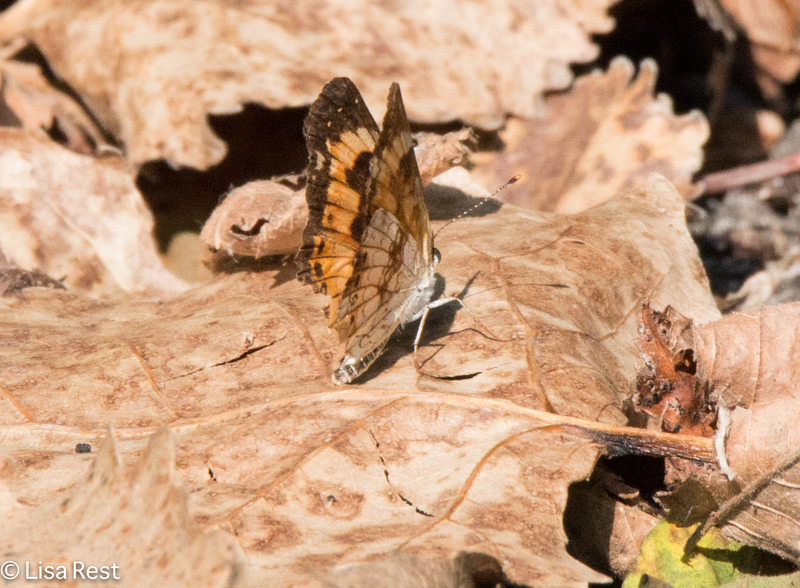 I guess I shouldn’t be surprised if I was counting half a dozen brilliant blue males on territories all summer. It appears moms and dads have moved on and left their offspring to find their way. 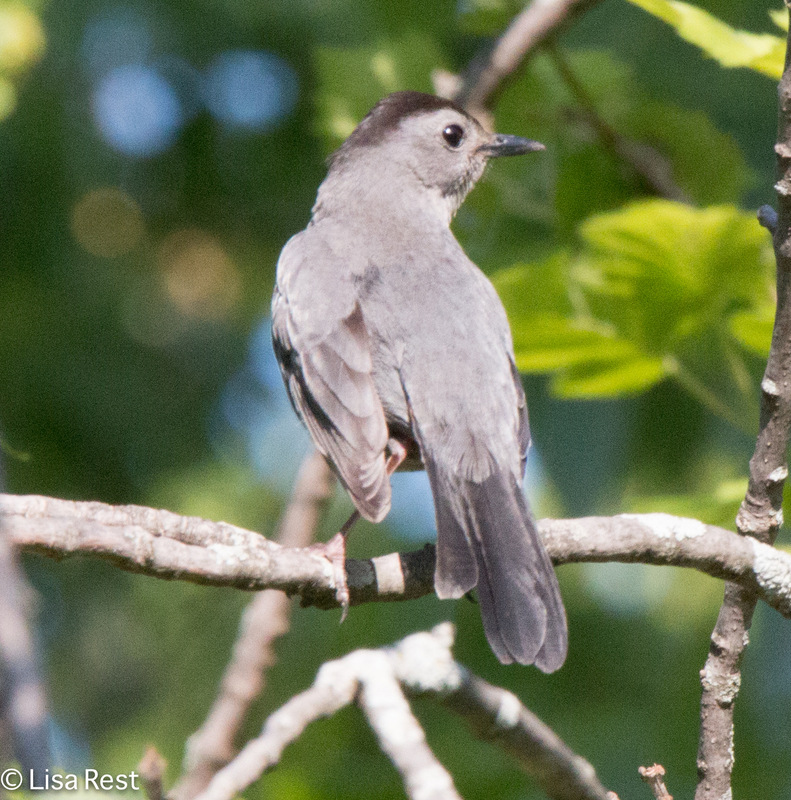 There are still a few other straggling species too like Gray Catbirds and Cedar Waxwings. And the insects are still going strong. 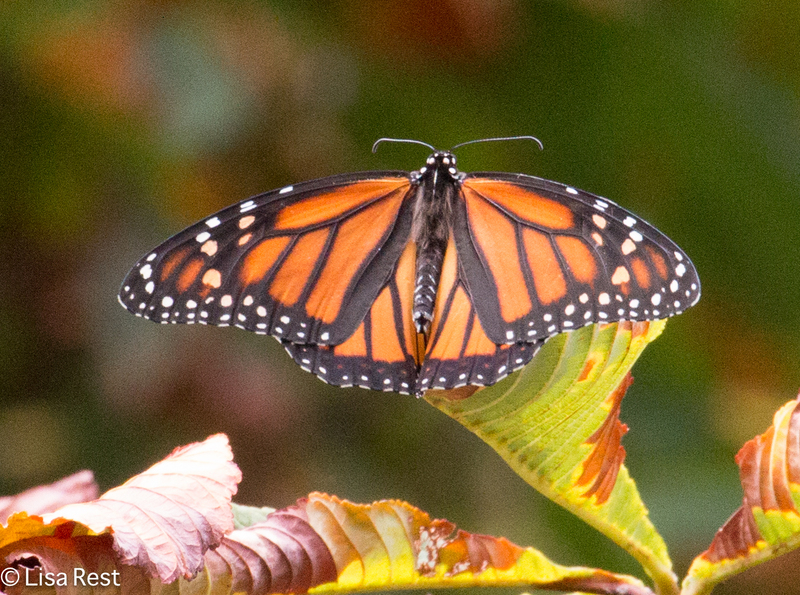 I saw a larger group of Monarch butterflies at LaBagh Woods this weekend than I have seen all year. 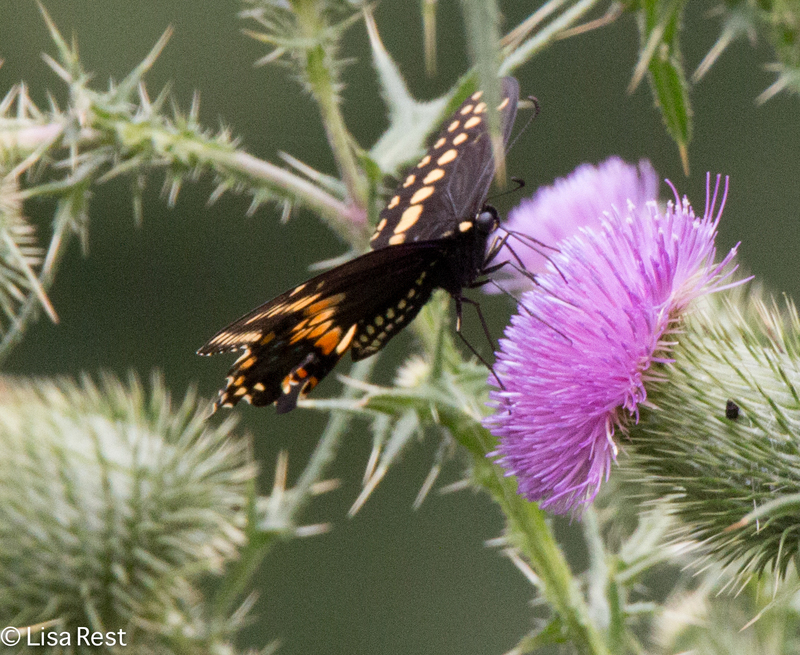 Milkweed is everywhere. I hope it helps. 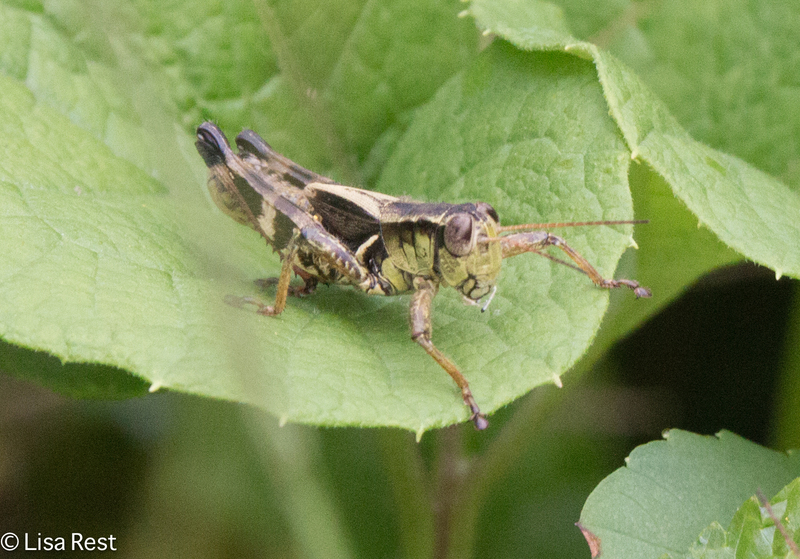 These insects were very patient with the 650mm lens. I’m a bit exhausted by all the changes and yet there always seems to be more coming. I will try to be post once more before I take off next week for a short trip to the American Birding Association Olympic Peninsula Rally. I hope to have something to share from that experience. Almost every work morning without fail, even in inclement weather, I have hauled the camera backpack downtown so I could be prepared, should the Black-Crowned Night Heron I have been seeing every spring downtown on the Chicago River show up again. Up until now I have not kept track of its visits on ebird, so I don’t know exactly when I saw it the last two or three years. I did find a picture of a piling in the river from June 4, 2014 on my cell phone, which must have been when I saw it last, but it’s hard to even see if there was a bird in it. So I did take pictures of a Black-Crowned Night Heron at another part of the Chicago River, specifically LaBagh Woods, on May 23 this year when I joined Chicago Ornithological Society on a field trip. This was the first time I had been to the slough part at LaBagh. I hope I can find the slough again on my own next time I visit. It’s a magical place, reminding me of the Chicago Portage. The rest of the pictures in this post are from the LaBagh trip. 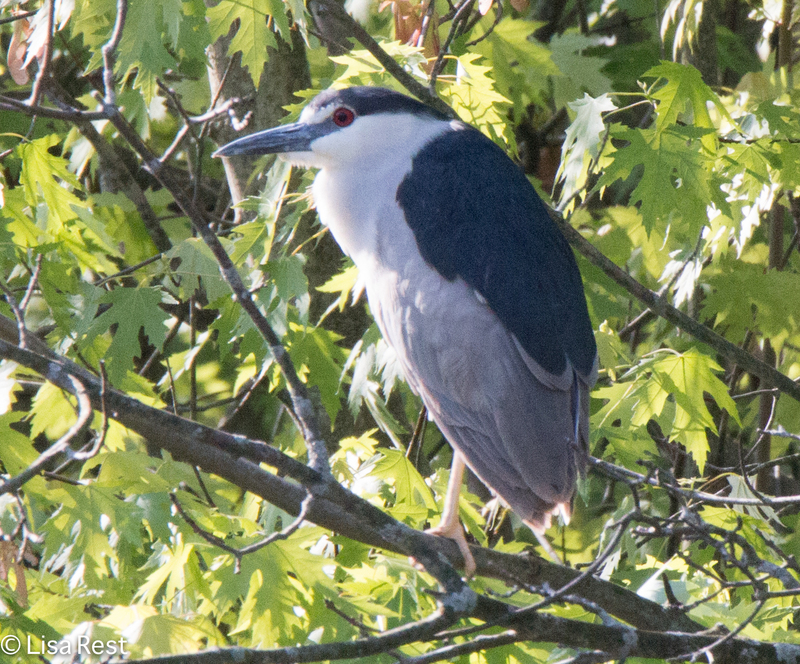 I had all but given up on seeing the Black-Crowned Night Heron downtown, but I have been thinking about him, so I decided to do this post anyway today featuring the other one I saw up river last month. As luck would have it, this morning, on the way in, as I was walking north along the river which I have started doing now that the work has been completed that the city or the building owners were doing on the west side between Adams and Madison–there are enough trees and low-lying plants that make me think this could turn out to be a good place to visit during migration–I suddenly saw the downtown Black-Crowned Night Heron flying across the river and landing on the other side! By the time I took out my camera and put it together, it had flown back across the river again, underneath me, to where I could not see it. 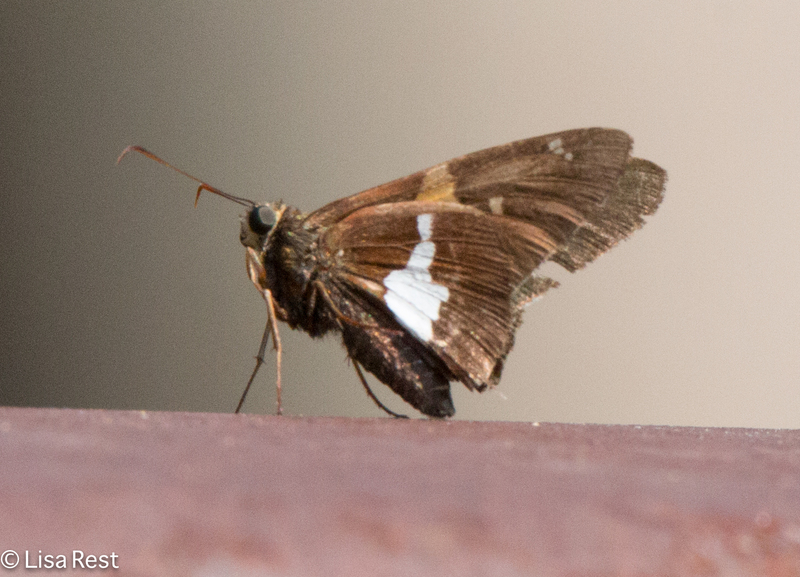 But I did get pictures when it flew again, and I will post them tonight! 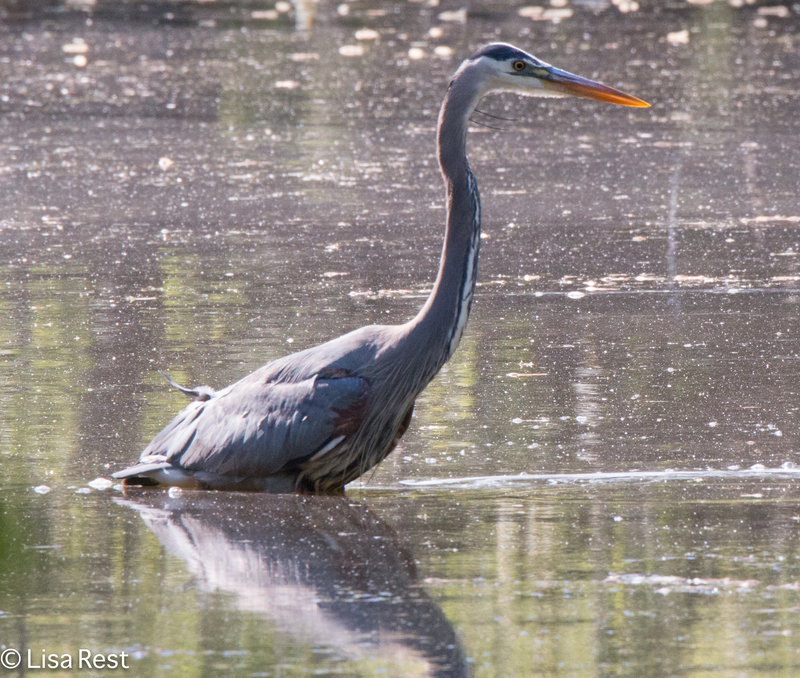 I find it amusing that I was focused on seeing the heron and then it showed up this morning. Who was sending who messages? In previous years I can recall only seeing the downtown heron for one morning, but now I believe anything can happen. 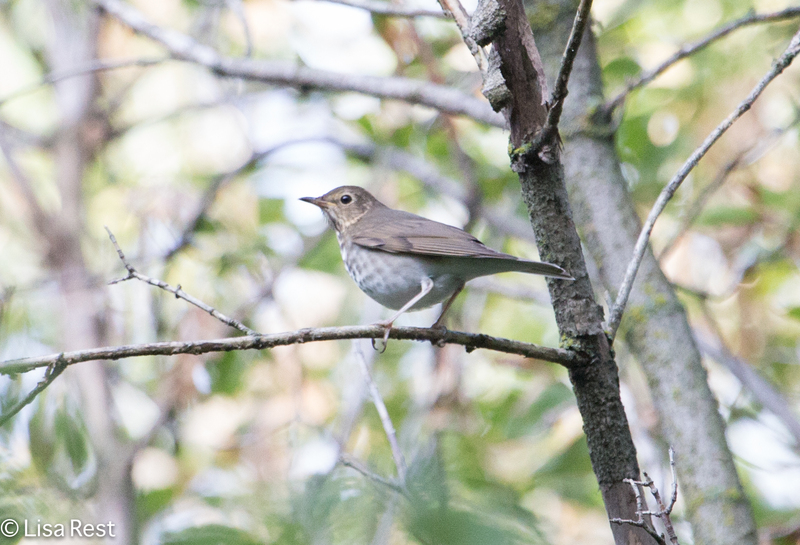 Never uncommon during fall migration, this year Swainson’s Thrush wins my award for Most Frequently Seen Fall Migrant. 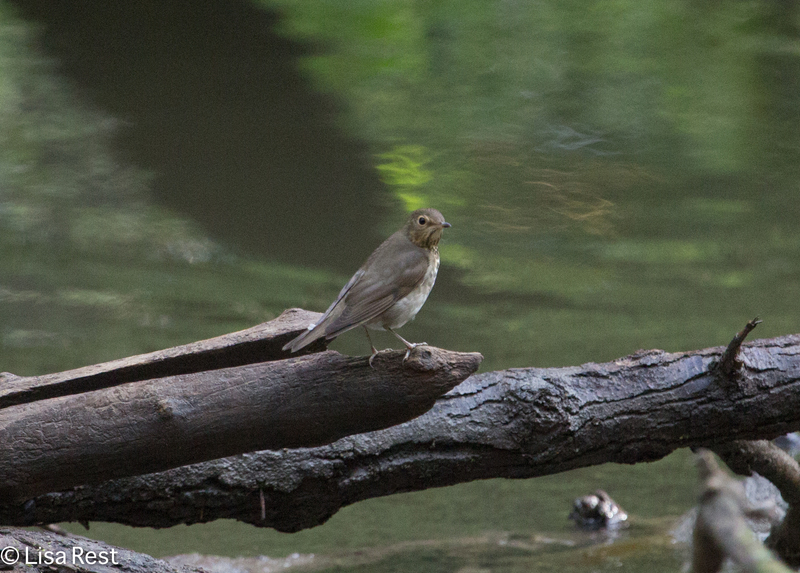 And although all these pictures were taken at LaBagh Woods on Sunday, where there may have been 100 but I reported 45 of these birds, I have seen Swainson’s Thrushes downtown daily and there were plenty at Columbus Park on Saturday, though not always offering themselves up for photographs. I’m sure Safety In Numbers had a lot to do with the pictures I took Sunday. 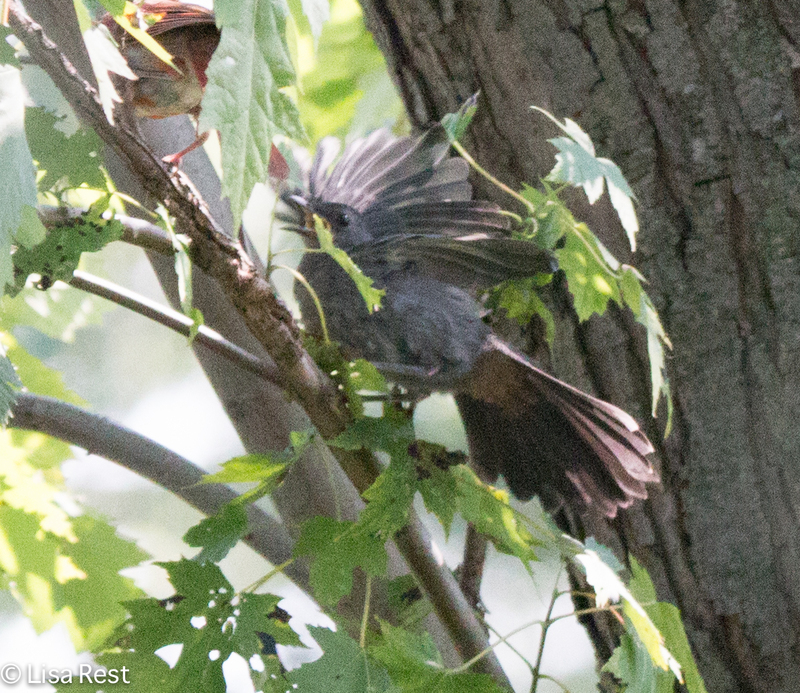 Not that there were that many other birds vying for my attention. 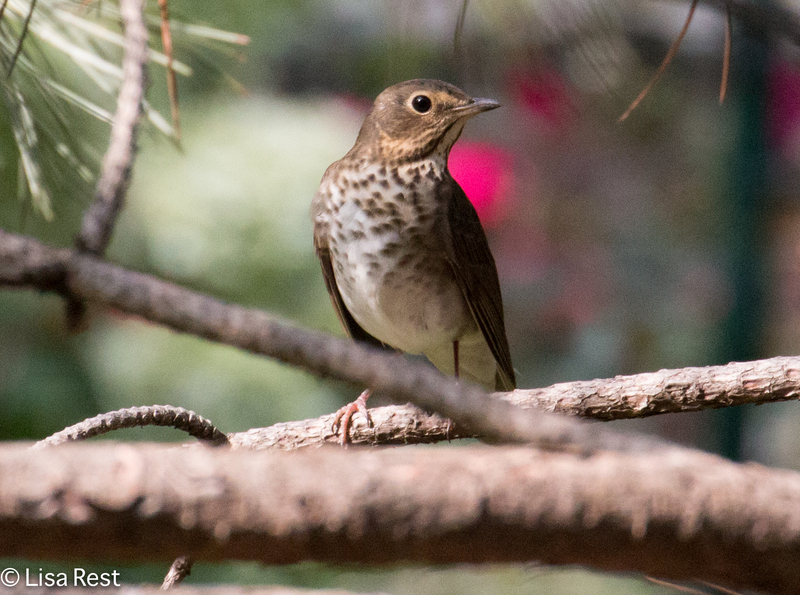 I give the bird below the award for Best Concealed Swainson’s Thrush Out In The Open. I hope to be back with more from recent near travels. I might not get out to see birds this weekend at all, so that could give me time to sit at the computer: I have a wedding to attend Saturday and rain is predicted for Sunday morning.